The first harbinger of spring is often the bulb display garden, with irises, crocuses, daffodils and many other early bloomers. One of the most dramatic flowers is the chalice-shaped tulip. These can come in a wide range of colors, petal styles, heights, bloom sizes and shapes. 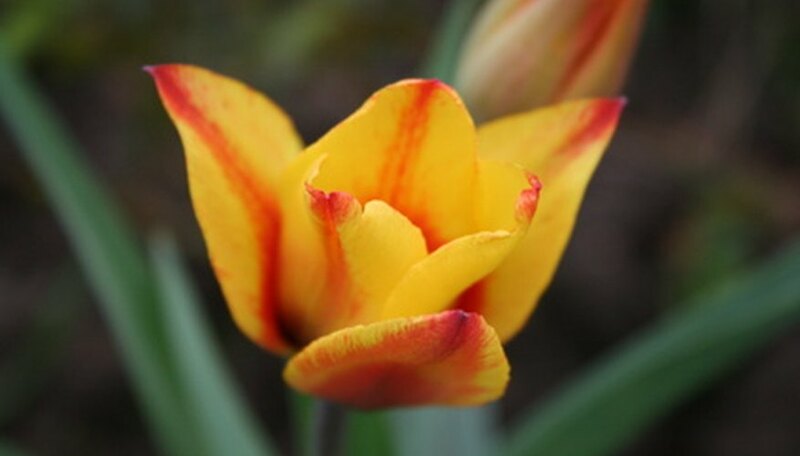 Over 3,000 tulip hybrids are available, including many large bulb varieties. The winner in actual bulb and flower size is the Giant Orange Sunset tulip, which begins from an 8-inch bulb, the largest in the world, and can produce a 9- to 10-inch bloom. It is primarily colored in oranges and reds and has a relatively short stem, at 8 to 12 inches tall. These are in the Greigii family, of which there are several very large blooming bulbs. Any of these varieties would be spectacular planted in the rear of a perennial or bulb display. The bulbs generally bloom in April or early May, so can be planted in early winter. The Red Emperor is a large bulb with a large bloom, and is also known as Madame Lefeber. This flower is an early bloomer. The bloom is red with a yellow heart set atop a 16- to 18-inch stem. These are very sturdy tulips and can be grown in USDA Hardiness Zone 3 to 8. A relatively new introduction that offers amazing color and appeal, this massive flower is the result of hybridization of the Single Early Tulip. The most notable thing about this bulb is the height, at 30 inches tall. The flower blooms in late spring, coming from a 5-inch bulb. Kaufmannian tulips, sometimes called water lily tulips, are early bloomers, usually in March. They boast a 5-inch bulb and bloom atop a 10-inch stem. While technically a dwarf, they can produce multiple blooms for a showy effect. These tulips close at night and the red centers of the petals are shown to best effect in the evenings. During the day they open to reveal a golden-orange color with the red striping. Stresa Kaufmannian bulbs need to be planted in the fall and do best in Zones 3 to 7. The Giant Darwins are a cross of Fosteriana and the Darwins, producing large blooms on extremely sturdy stems. The bulb is nearly 5 inches and produces a 6-inch flower. These are late bloomers in Zone 3 through 7, but are known as "perennial tulips" due to their ability to keep their looks season after season. The stems will grow up to 26 inches, so their place is at the rear of the bulb display. Holland: Where are tulips from?